But I kind of like the other one better. The holic hair is kind of too...."round". 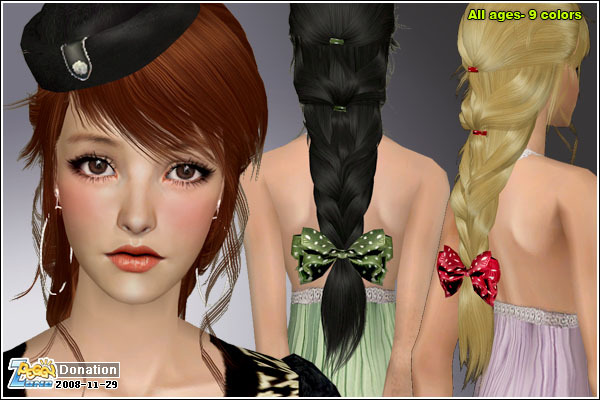 If anyone is interested in looking at the old different sims2 hairs here is a gallery of aton of them by other creators. Yes i do. 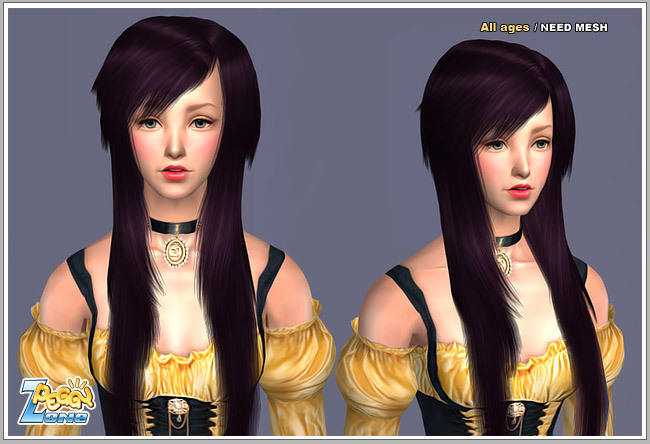 There are so many more beautiful sims 2 hairs out there. 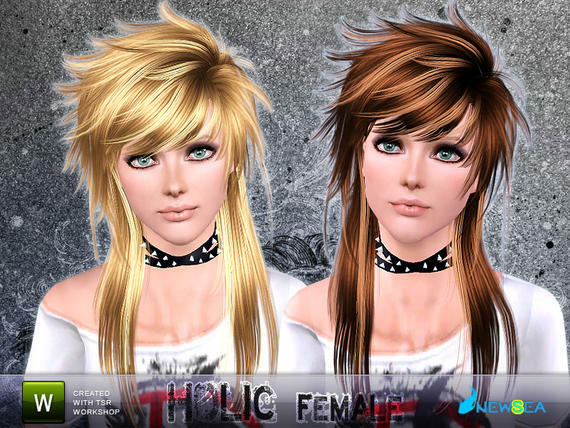 I wouldn't mind someone converting them but not just the girls hair, the males too. Some reason the males always get left out. Yeah me and my sister were just talking about how there isn't enough sims 3 male content.